The Yocan Evolve Plus is a stylish, discreet way to take your waxy concentrates on the go. Available in a number of stylish colors, this beautiful dab pen vaporizer is a powerful unit that has a great battery, a quartz dual-coil atomizer with the option of purchasing a ceramic donut coil, and a convenient silicon jar meant for storing concentrates while on the go. The Quartz Dual Coil is wonderful for those who enjoy producing huge clouds of vapor when they hit their wax pen. Not only does it provide exceptional vapor, its quartz atomizer delivers unmatched flavor that is smooth and clean. There is no glue in this quartz coil, making for a great and flavorful experience every time. Able to heat instantly, this coil comes with a cap that helps reduce the transfer of heat to your mouth while also serving to prevent messes and leaks. You can also choose to purchase an additional ceramic donut coil for the ability to customize your vaping experience with the Evolve Plus vape. The battery included in the Yocan Plus pen vaporizer for wax is a battery that has been rated at 1100mAh. It is longer lasting than most batteries and features a 15-second battery safety cut-off, both helping to ensure your protection and prolong the lifetime of the battery itself. When it is time to charge the battery in this wax vaporizer pen, simply connect it to the micro-USB charging port - which also makes this a great on the go vape, as you can plug it in just about anywhere. If you like to take your dab vaporizer pen on the go, but don't enjoy carrying around a clunky chunk of silicone for your concentrates, the Yocan Plus vape pen has you covered. At the bottom of the battery is a built-in silicone jar that lets you store your wax with ease. Its incorporation with the rest of the unit makes for a perfectly discreet storage method that is ultra convenient and allows for maximum discretion. I purchased the Evolve Plus, which isn't for dry herb vaping, but that is one of ONLY 2 downsides to this device - you'll need a separate vape mod for dry herb. But other than that - the airflow is perfection compared to every other mod I've tried; it doesn't shift easy, but once you figure it out, it's easy to adjust (tip: take the magnetic top off first) and then set/forget.There is no temperature controls to mess with, so it's set to a perfect temp for the coils and ceramic bowl to efficiently use AND save what isn't used immediately, directly in the device. The extra storage space at the bottom and the lanyard attachment just make it the perfect, go anywhere and do anything type of vape - and the hits it provides are dense, also compact and efficient; it does your dose quick, so this isn't a lingering, hangout and enjoy yourself sort of thing, for all you busy on-the-go people... but that's what makes it so perfect and priceless as a piece. Only other real downside to this is that if you prefer smaller, or very controlled dosages, then this is not for you - it has 4 COILS heating up inside, so it can quickly burn through larger amounts of product, making it easy to actually go overboard if you aren't watching yourself. But that is also really good for some people, as it makes it an easy piece for sharing in a group vaping situation, if that's your social scene. It's a powerhouse, and it's compact and efficient with storage and ease of use/mobility. Get it - you will love it! First they sent the lower model. I contacted them and they sent the correct product and never asked for the other back! Surprisingly good customer service! Low price, top high - Review by Michael J.
I love the Evolve Plus price of it especially because it has lasted so long and still gives me what I need from it. I have dropped it a few times and it still looks incredible. It functions just as well even after all of these uses. The smell is really minimal especially depending on the kind of shatter that I choose to use. Would buy it again - Review by Joyce J. The price is decent for what Yocan Magneto does, but I would definitely buy it again if something were to happen to mine. Pandon is powerful - Review by Jane C.
Yocan Pandon is definitely not for amateurs. It hits hard and hits well and packs a powerful punch. I love this Yocan Pandon because it feels like I am hitting several pens at once... that's how powerful this thing is. It is easy to charge and for the price, I almost can't believe that it works as well as it does. It works with any kind of coils basically and I've dropped it with no problems. Pandon vapes - Review by Israel R.
There is no gross build up that I have to clean like I usually have to with other devices; Yocan Pandon really makes the most out of my product. Plus is great - Review by David D.
This is my first vape, period, and I think Plus vape is great for anyone else who has never used one before. It's super nifty and easy to use. Super powerful - Review by Jessica J.
I can't believe something that runs like this is as good as it is. Yocan Pandon is super powerful. The battery life is simply outstanding and seems to last me for longer than I even want to vape it. 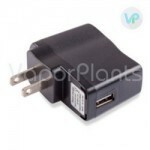 Recommended - Review by Patricia A.
I am really happy with my decision to purchase the Yocan Magneto so far, and I would already say that I would purchase it again. 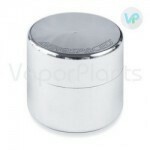 Easy to fill - Review by Tina S.
Overall, though, Yocan Magneto is a really tremendous vape and I love that it’s easy to fill. I often seem to have problems with vaporizers for wax spilling when I use them for a while, but I have yet to have that issue with the Yocan Magneto. 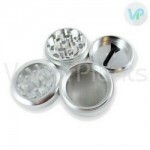 This vaporizer is really easy to fill and once I get my wax in there, my wax stays in there. I would seriously recommend this pen to any beginner even as it is that simple to use. It is great for the price and I'll admit I was worried about its quality because of the low price, but I am not disappointed. Weak battery - Review by John H.
I have a little bit of problems with the battery life sometimes. It seems like Yocan Magneto dies pretty fast at times, but others it seems to last for a while so I'm not sure what to say there. Winner - Review by Kenneth T.
Yocan Pandon is one definitely just puts the other ones to shame. It is really sturdy and has good weight behind it, making it feel strong and stable in my hands. I have a feeling that if I accidentally drop it, it is not going to immediately fall apart like some other brands of vapes that I have used. Huge deal - Review by David L.
There are caps on Yocan Pandon to ensure that nothing goes to waste which is a huge deal because this stuff is expensive. Like a dab rig - Review by Clyde J.
Magneto vape is definitely a huge time saver compared to when I used to use a dab rig, which I know I will never use again after using this awesome vape. Long battery life - Review by Dale C.
I take Yocan Pandon with me everywhere and only rarely need to charge it. Heats instantly - Review by Kevin F.
Yocan Pandon heats up literally instantly and can hold a lot at one time so I don't have to constantly keep loading it. Best value - Review by Gregory C.
Definitely the best value for the money and the best vapes I have ever used. Does not smell - Review by Caroline M.
The Yocan Magneto produces super potent clouds of vapor which is something that I find hard to find in other wax vaporizers. I love the taste; it tastes just like the wax smells. The best part about it, though, is that it does not smell when you vape it hardly at all. In fact, I have taken it out in public several times and no one has so much as turned their heads to look in my direction. Coil saves time - Review by Ronald D.
The Yocan Magneto is a great unit and has a great concept behind it. The coil really saves me a lot of time whenever I just want to vape on the go. Cheap but works - Review by Eddie E.
I have had a lot of really pricey vapes for wax before, and I was curious about this one since it is so cheap. I was a bit worried about the quality because of the price, but I was pleasantly surprised. Best of wax vapoizers - Review by Jeremy K.
Yocan Pandon is one of the best kinds of vapoizers that I have ever used, and I have tried many different styles and kinds of vapes for wax. Really portable - Review by Stanley C.
I love the Yocan Evolve Plus Vaporizer. It is just all around a great vaporizer. It is really portable and can go with me wherever I want it to go without being really obvious. It has really great color selections, too, so I got two of them. It is really small and that might make you think that it is not powerful, but that is simply not the case. Battery lasts - Review by Edward K.
One of the best parts about the Yocan Evolve Plus Vaporizer is the fact that it is easy to charge it with the USB port, instead of having to take everything apart. The battery also lasts a long time, which is wonderful for when I want to take it on the go. Great flavor - Review by Mary R.
It's super smooth and gives me great flavor. I prefer Evolve Plus over most of the other vaporizers that I have used in the past. Love it - Review by Jeffrey P.
I love that the Yocan Evolve Plus Vaporizer uses dual quartz atomizers. It really makes a huge difference in the vapor that comes out of it. No temperature control - Review by Alice S.
Evolve Plus is super easy to load up which makes it even easier to use than a standard rig ever was. It does not have any sort of temperature control, but that's okay because my rig obviously did not either. Fast results - Review by Helen A. The Yocan Evolve Plus vaporizer was much faster and nicer than I was expecting. Great wax vape - Review by Dabs K.
This is my first-ever experience with a wax vape, and I've got to say that I am totally impressed with Yocan.